One hundred thousand welcomes! This website was made to keep the public, family, friends, and interested parties informed about Lillian and her activities in the music community. Lillian is a graduate of Northwestern University's Bienen School of Music. She received her Bachelor of Music in Harp Performance in 2015 studying under the direction of Elizabeth Cifani, former Principal Harp at the Lyric Opera of Chicago. She has participated in many Fleadh Cheoil (Irish music competitions). She has placed first in 20 music competitions. In 2004, Lillian took the silver medal at the Fleadh Cheoil Na h'Eireann in Clonmel, Ireland, under 12, and the bronze medal in the 15-18 age in Tullamore in 2008 and 2009. She has been to Ireland four times. Three times for solo competition, once while studying with Marta Cook, once while studying with Chelsea Link, once on her own, and once for group competition, with the Irish Music School of Chicago, under the direction of fiddle player Sean Cleland. She also competed in accompaniment 15-18 in 2008. Lillian also performs at shows, receptions, weddings, and teaches Classical and Irish music on the harp. Lillian's past performances include, Milwaukee's Irish Fest, Chicago's Celtic Fest, Irish American Heritage Center's Irish Fest, Gaelic Park's Irish Fest, and LaCrosse Irish Fest, just to name a few. The most fun comes when Lillian plays at Irish Music sessions in the Chicago area. 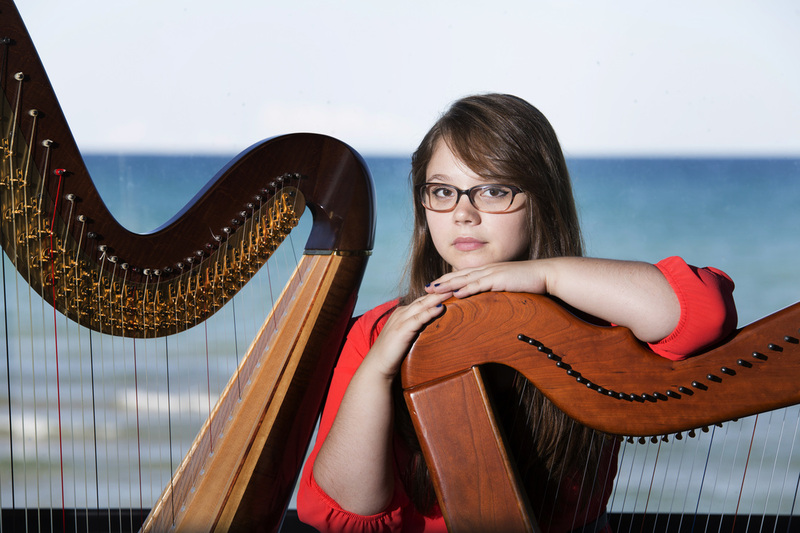 Lillian is an alumni of the Schaumburg Youth Orchestra, the Chicago Harp Ensemble, and the Irish band Saoirse. Lillian currently plays three harps, one is a William Rees Aberdeen Meadows, a William Rees Glen Aulin, and a Lyon and Healy Style 30 Concert Grand harp. Lillian also plays piano, ukulele, banjo, and sings.